So in the last month, I’ve had not one but two separate opportunities to experience a much faster route from saddle to ground. 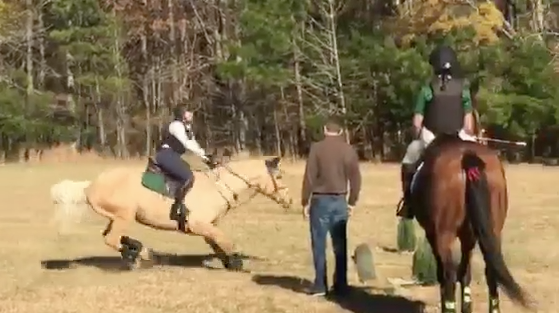 My involuntary dismounts have both been on the same side of the horse, and ended with my landing (I believe) on the same parts of my body- that is, my right shoulder and hip. This last gravity check did a real number on my shoulder especially, particularly affecting the rotator cuff (so the masseuse told me as she dug her thumbs into the flesh there). Even though I feel as though it was not my head that was the primary victim of these apparent nose-dives, I still wonder- what goes into the ‘fall to the head = new helmet’ rule? I have no evidence that my head was not involved at all, and admit that my neck was sore after the last incident, but obviously not concussion to my knowledge. At some point, do we assume that the helmet has been compromised by the sheer association (like being stuck on my head) with my body as it hit the ground? Or does it need to take a more direct hit in order to be compromised? What is the rule you keep to? Does anyone know the exact science?? Though lessons have been… less than consistent over the last 2 months, I still try to make my rides worthwhile and keep my trainers’ voices in my head as much as possible. In particular, there are several often heard phrases that I tell myself over and over, with hopes of eventually never having to hear them again. Don’t show him what not to do, instead show him what to do! Get him reaching from the base of his neck! Shoulders away from the fence! Why don’t you just try that again. What are the mantras your trainer uses with you? What phrases live in your head when you aren’t in a training session? And what are the words that you are basically ready to tattoo on your arm so you don’t forget? Despite my own personal mixed feelings regarding horse racing, I do inevitably get excited when the Triple Crown rolls around. Why? Because for just a few minutes every year, the rest of the nation becomes as fascinated by horses as equestrians are on the daily. No matter whether or not you ever rode a horse, the thrill of seeing American Pharoah break an almost 40 year drought and take the Triple Crown- that was something that just set the heart on fire. But there to douse the flames are some of the horrors that inevitably come with mixing horses and money- it invites greed to look past some of the basic principles of horsemanship, and take advantage of a creature bound to do our will. And I won’t pretend that racing is the only victim to this side of human nature. Every horse discipline, every industry has seen its fair share of a turned eye, or pushing just that bit too far, and no one can claim total innocence. And yet there, on the morning after the Derby, questions arose. Charismatic trainer Bob Baffert led the stunning Justify out to meet an adoring press, and horsepeople looked on in dismay. That horse was not sound. Not at all. Baffert clearly says in the video that he came out of the Derby “really well”, and yet, the horse won’t comfortably put weight on his left hind. Later in a press conference, Baffert said that the horse had Scratches, a skin infection that was irritated by the gravel. Then it was circulated that the horse had a bruised foot. In the end, Justify was cleared for the Preakness, and made himself even more valuable by winning the second leg of the Triple Crown. At my particular viewing party, we all watched him walk before and after with eagle eyes, and couldn’t come to a unified consensus on whether he looked 100% or not. And yet, he won, and surely we’ll see him again in the Belmont at the end of the summer. For my part, I hope he does well, and I hope that all the curfuffle really is just an ill timed stone bruise, or a skin infection. Justify is one of the strongest, well boned TB’s to win the Derby since Big Brown 10 years ago. His lack of a 2 yr old season may set an excellent precedent for later-started, but successful horses that have more longevity in their careers, both on the track and in potential sporthorse disciplines. What kind of vetting is required, if any, before these big races? How is transparency viewed in the racing industry? What medications are allowed to be used (NSAIDs, etc) on the track? Do you think Justify has a shot at the Belmont? Is there a horse out there that you prefer? Where do you think the racing industry should go, or practices they should adopt? I have to admit, I am totally kicking myself after talking about plans and then having to get the vet out days later. Did I jinx myself? Is that really a thing? Who knows, but I’m regretting it. It makes me think about how superstitious some folks can be at shows. At our last show, I had friends who were both equally excited to report to me that I was in the lead after dressage, and others that thought I shouldn’t know. Of course there’s something to do with handling mental pressure in this case, besides pure luck, but still- it’s a common debate and not just in my camp! 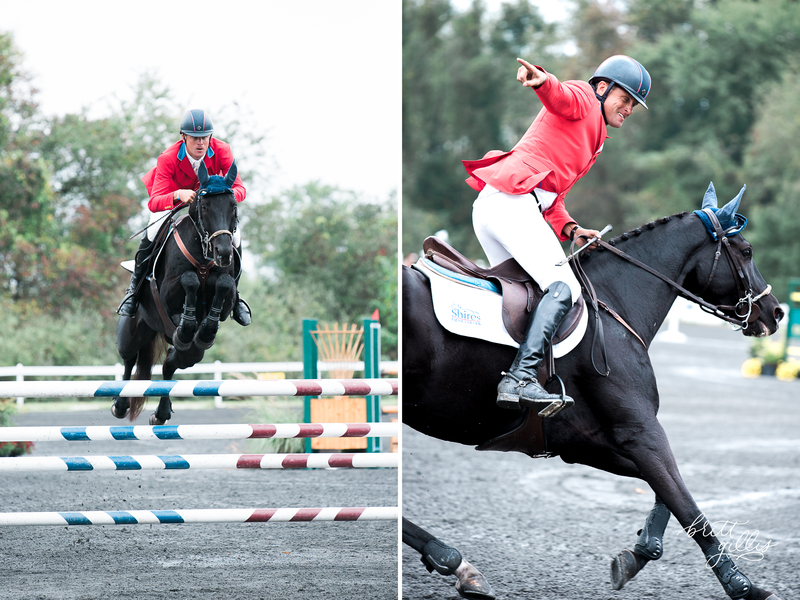 What is the likelihood that if I hadn’t know that I was in the lead, that I then would have gone double clear in showjumping instead of getting that cheap rail? Or was that cheap rail ‘destined’ to be mine all along? 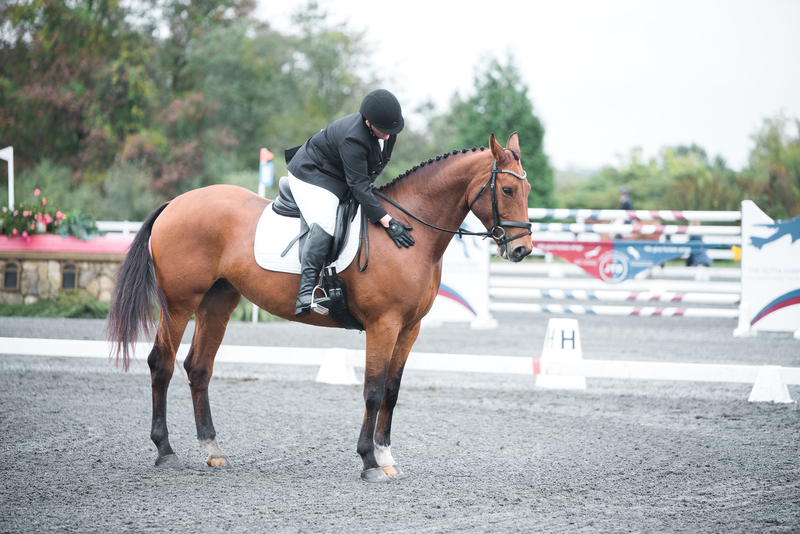 In my mind, I feel like I would have had the same level of stress going into showjumping as I would have in any case, but maybe that little bit of hope for a potential blue ribbon messed it all up for me? And then I have a friend who insists that if things are going well mid-show, that she will be absolutely MIA on social media until it’s all over. Because, you know, jinxing. Whereas if things have gone to pot, then who the hell cares and share-away! Where do you stand? Do you like to know where you are in the standings mid-event? Do you wait until it’s all over to share any news? How do you mentally move from one phase to another? 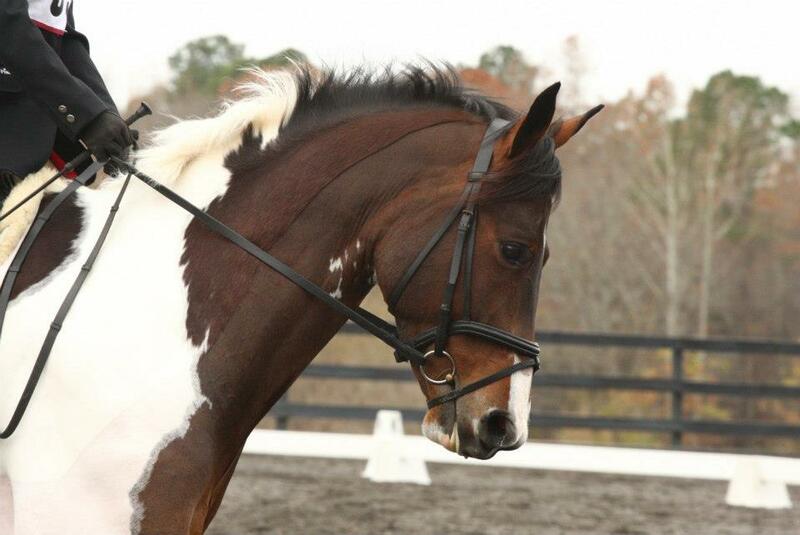 What kind of chemical help can I give Jack so that he doesn’t turn into a distracted spazoid in the dressage ring? That is basically to say that we went to the show on Saturday, where I just did my dressage test and scratched all the jumping. 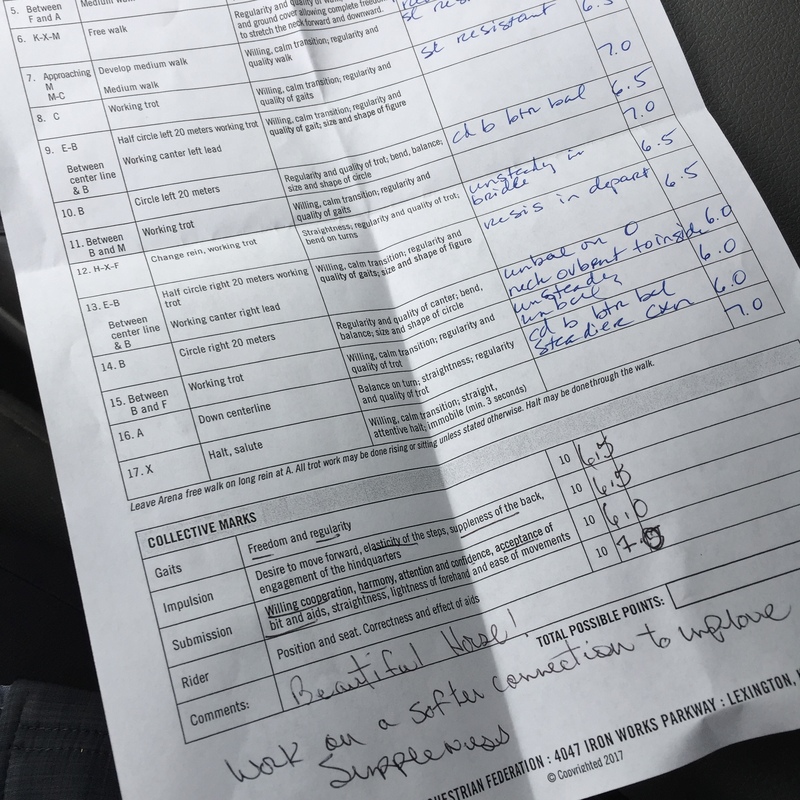 I thought I was getting closer to unlocking what Jack needs in the warmup, before entering the actual dressage court and blowing all the good work out of the water. Admittedly a 34.8 isn’t the absolute worst score, but to me those 6’s are frustrating to see on a scoresheet. 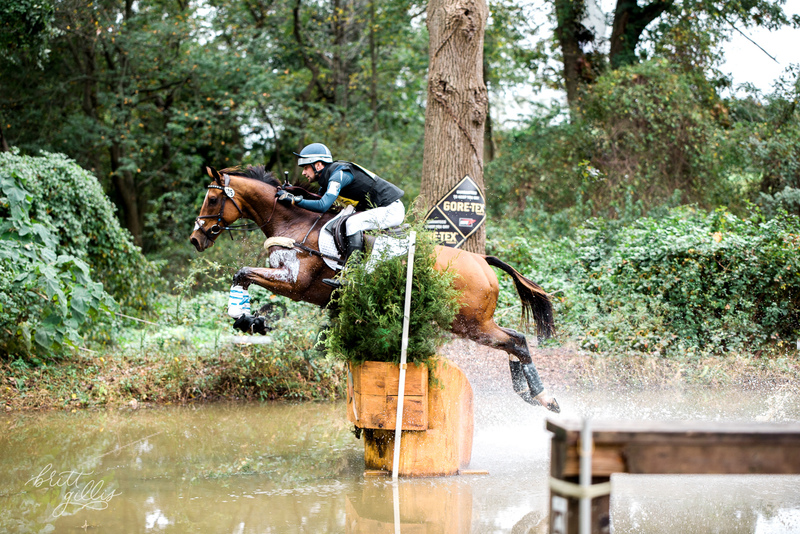 There were lots of comments about him being resistant, which mostly came down to his getting tense or distracted by things that I feel he really truly isn’t scared of (such as people walking the course in the distance). The overbending comes down to my attempts to get him soft through the underneck, and I would definitely prefer to have him straighter and more under- the whole test felt mostly forced with a few decent movements. Highlights including the fact that I almost got a 7.5 on my rider score, and Jack giving me a solid left lead canter depart for a 7. 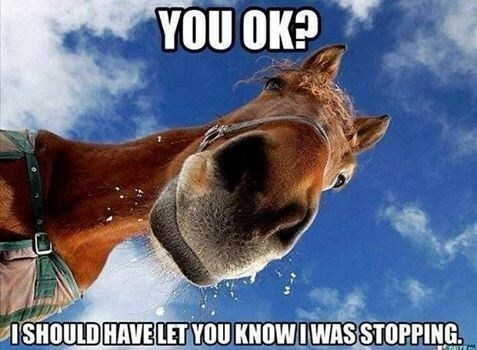 And I mean, the beautiful horse comment- because who doesn’t like hearing that? In making a game plan for our next outing (namely the big Recognized show in 3 weeks where I would like to actually be competitive in the dressage), I would like to help Jack a little bit mentally. I’m mostly not a fan of lunging a horse down because I feel that is counter productive in many cases when XC and SJ are to follow (not to mention putting unnecessary torque on fragile legs), and I of course want to stay within the legal allowances for any chemical aid. So I’m looking at a few of the calming pastes on the market that might help. Perfect Prep products are one I have heard are well used in the H/J rings, but I know less about eventers who use them. B highly recommends Nupafeed Magnesium for its effectiveness on her similarly-minded Chimi. I’m willing to give anything a shot, so long as it’s legal and has no real side effects that could make things worse for one palomino worry-wort. What do you guys think? Have you ever used the above products? Anything that isn’t listed that you suggest? What are your previous experiences with calming agents at shows? Due to a range of ever-changing circumstances, I ended up being on Jack for a lot longer than anticipated. As a result, my calves have been basically screaming in agony for the last 3 days. 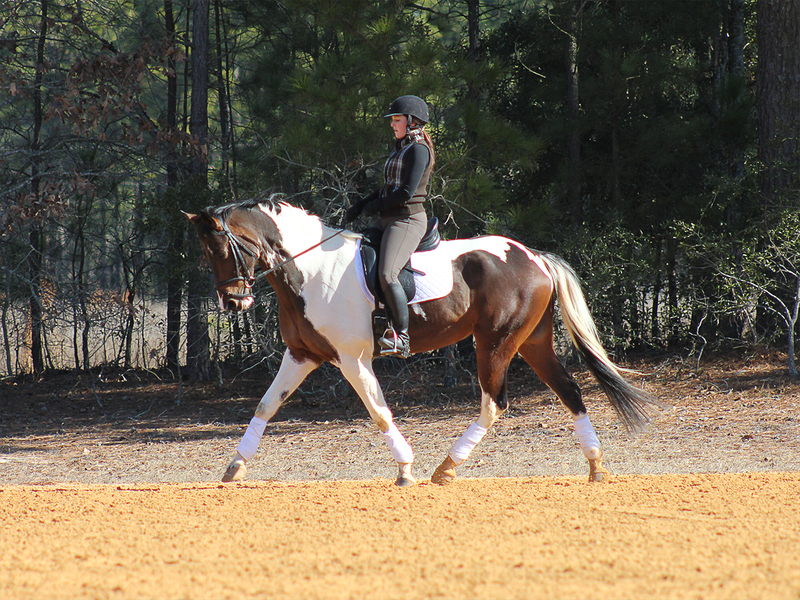 Now, recently I have come to the light-bulb conclusion that dressage does not exactly require heels down- and that my over-elastic ankles actually made for a bracing lower leg that brought my leg forward. Since having this epiphany, I am working to allow my leg to simply hang, focusing on making my knee point downwards and bringing my heels under my hips. That’s made going back and forth from dressage to jumping, which definitely requires heels down, that much more tricky. Hence sudden anguish after lots of jumping. Which brings me to footwear. At work, I reside in the same building as the executive suite, and so the common wardrobe tends to skew towards the more business-side of business casual. Most women wear heels, skirts, dresses, and in general more ‘done-up’ than you would find elsewhere on campus. But most women don’t have a hobby that requires their heels to flex down. I pretty much wear some version of flats (or boots in the winter) every day, and it’s easy to feel a bit under dressed surrounded by these magazine worthy creatures who occupy the same space. And after this weekend, and the constant calf stretches I have been doing to ease the pain, I have even less desire to up my footwear game to fit in. That would be me, on the right. So I want to know, other equestrians with office jobs of the world: does your hobby effect how you dress for work? Do you struggle to get your heels down in general? Does riding influence the footwear choices that you make? Inquiring minds want to know! Chatting with a friend who had just witnessed the KY Charlotte Dujardin clinic this weekend, I quickly came to the conclusion that despite forever having my respect and admiration for her program and her riding, I don’t think I would ever want to train with the top dressage rider in the world. Picture of my BFF because she’s badass and because we have this convo all the time. That’s because in some many ways, I’m totally comfortable admitting my “amateurness”. I’m never going to be a full-time professional rider (though I wouldn’t oppose to the full-time aspect). I enjoy being a dual-discipline (bi-discipline?) rider with the comfortable recognition of likely never reaching the status of Ingrid Klimke. Therefore, I have different needs in a trainer. I have a 9-5 job. Sometimes that turns into a 8-6, or 9-9 job, depending on the day or the week. My trainer needs to understand that and respect that. Some prospective trainers I’ve met only offered lessons during normal working hours, and weekend lessons were a rarity. Quite frankly, that will never work for me. And since the job not only limits my availability, but also pays for said lessons, that makes this one a non-negotiable. This is probably where most people differ. Personally, I am not interested in the trainer that praises my for 45 minutes and then is done. But some people need a holding hand and a cheerleader in their trainer for where they are, and that is more than fine. I tend to do well with a trainer who holds me accountable, and consistently pushes me to be better than I am, but also tells me when I am doing right. Too much one way or the other, and I tend to check out stage-right, either mentally or with my check book. Here’s a tough one. 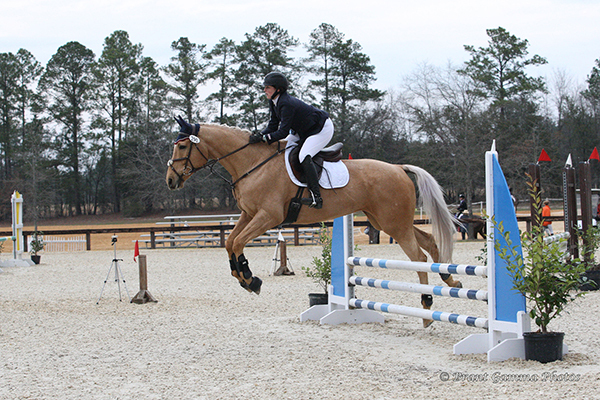 Sometimes a client, aka rider, has completely unrealistic goals- for instance the rider who has never competed at second level who is determined to compete in the Olympics (do you know one of these? I do!). 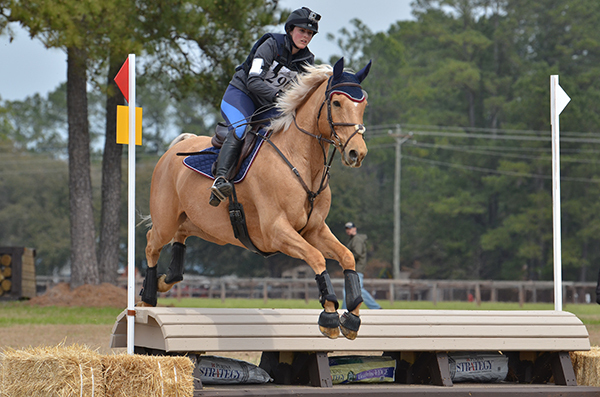 On the flip side is the talented, or talented-enough amateur rider who has lost so much confidence that they limit themselves to the lowest-of-the-lowest levels. 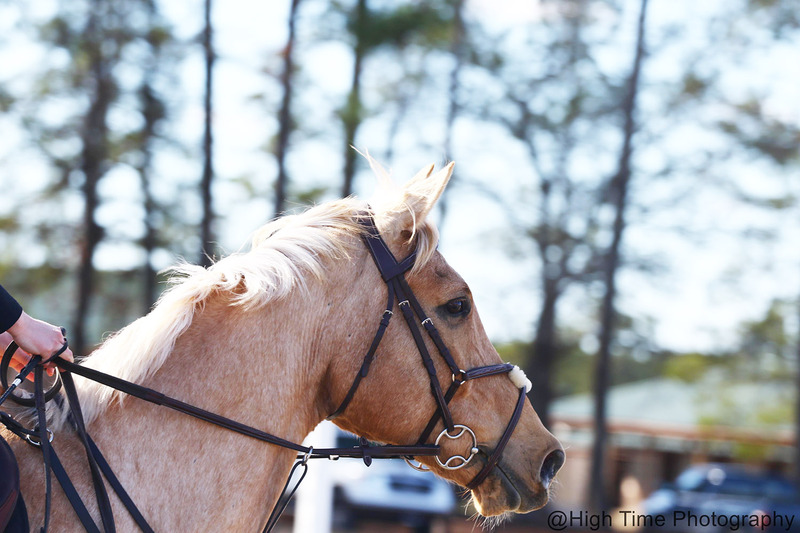 A good trainer will be able to assess their client (and the horse that they ride) and be able to adjust expectations, make sub-goals, and lay out an honest and achievable path that brings about growth in their client. To me this is the hardest thing the right trainer must achieve- because sometimes well-meant honesty and judgement is a difficult endeavor, requiring not only honestly but a little bit of faith as well. Yup, never going to do this and that’s fine by me. Let’s face it- most amateurs have a less than infinite budget, and a sincere lack of sponsors. Therefore, the horse(s) we have are what we’ve got to work with. And an understanding trainer gets that. 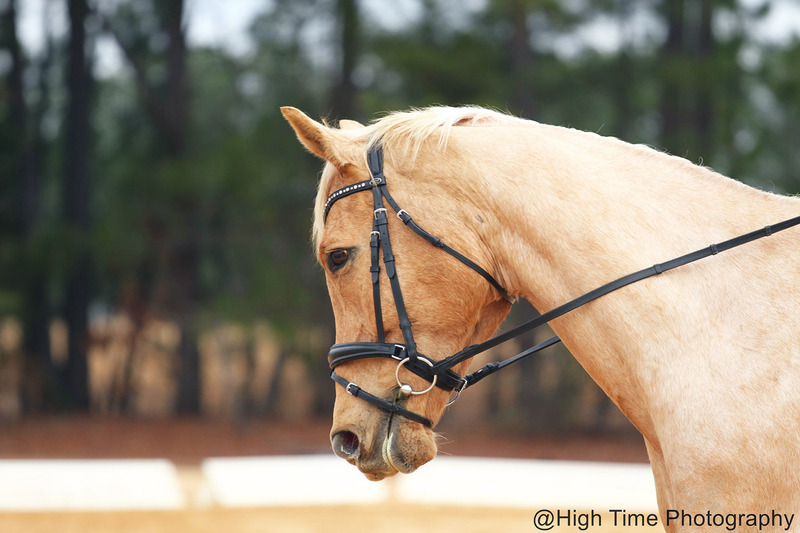 Sure, sometimes there are glaring mismatches, in which case once a trainer understands all of the above requirements and sees that the fit is less-than-ideal, they can make recommendations. But firing a horse because it will never be their Valegro is just unreasonable. We spend so many hours financially and mentally on our horses that we need a trainer who is onboard too. In the best of worlds we can even find a trainer(s) who will help us find said beastie, but in different scenarios a great trainer will work with what we’ve got, and in accordance with the above section, work to set realistic goals. What are the qualities that you look for in a trainer? What are the aspects of your trainer that you are most thankful for? Have you have experiences with trainers that simply weren’t good fits? Why? What made you choose your current trainer? Almost exactly two years ago, I traded in my towing vehicle for a more practical, gas-friendly daily driver. You see, I was this close to having all the pennies saved up for a proper truck, and was excited to be able to finally have an appropriate set of wheels to take Fosterpants to the destination of my choice. And then 3 days later, I learned I needed to retire Foster. From making plans for Foster, to saving up for a new horse(s), my dreams of independently taking my horse from point A to point B were definitely quashed. So every time I went somewhere in the last 2 years, I borrowed a truck. But recently I finally, finally, filled the truck fund up enough to go shopping. 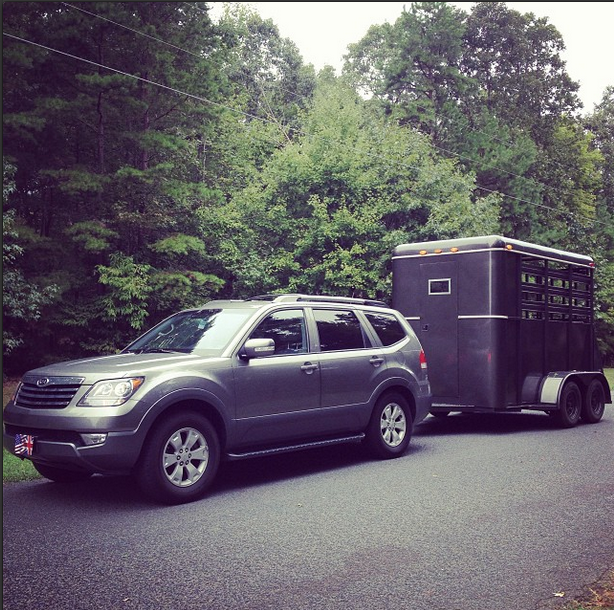 She’s an ’07 F150, with 4WD and over 8,000 lbs of towing capacity- huge overkill for my 2 horse stock trailer. And though I may be making payments for some time, I could not be more thrilled to finally have the wheels I dreamed of. Now I can’t help but turn my dreams towards a trailer upgrade, though in reality this will likely be another couple years in the making. 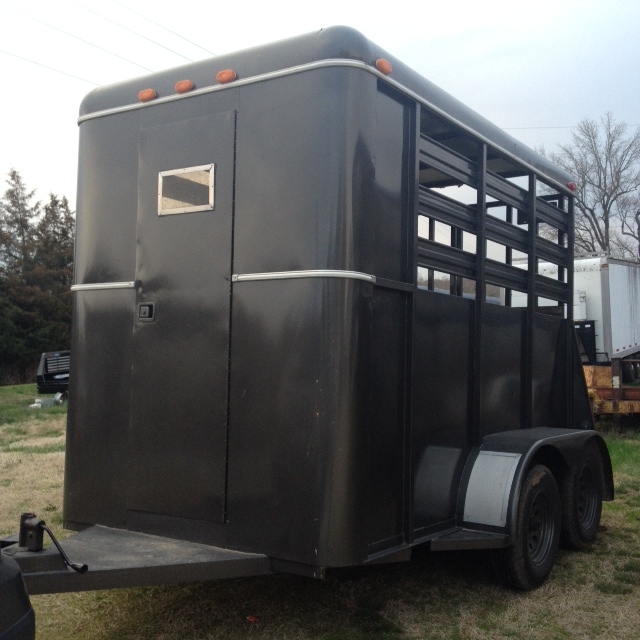 Not that there’s anything wrong with my trailer- it’s an extra tall 2007 2 horse straight load, and I’ve done my best to take care of it. 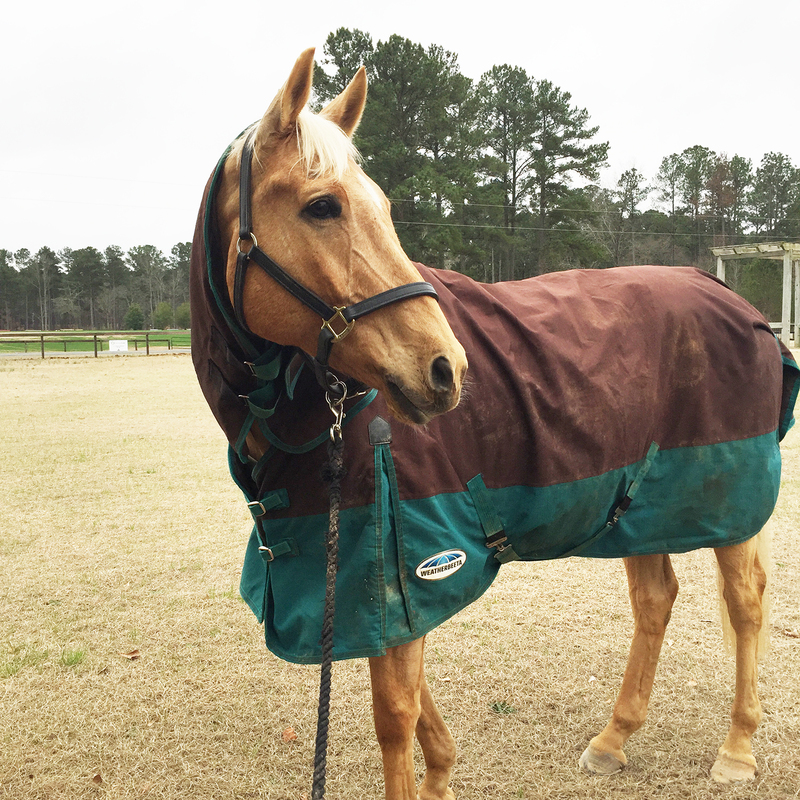 But I hope to eventually get something with a tack room (though I have become a bungee cord queen over the years) that’s warmer in the winter time. Isn’t it ironic that the days of horses transporting us from destination to destination have become replaced with humans spending thousands of dollars to do just the opposite?! What is your current rig set up? Do you have your own truck and trailer, or do you have a borrowing scheme in place like I did? 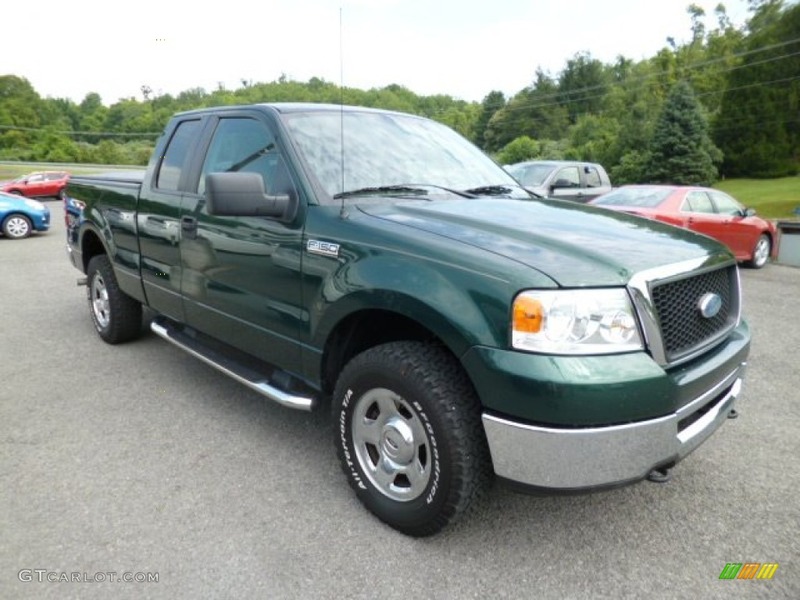 If you own truck/trailer/etc what are the things about it that you love? What would you change? What would be your ideal set up?